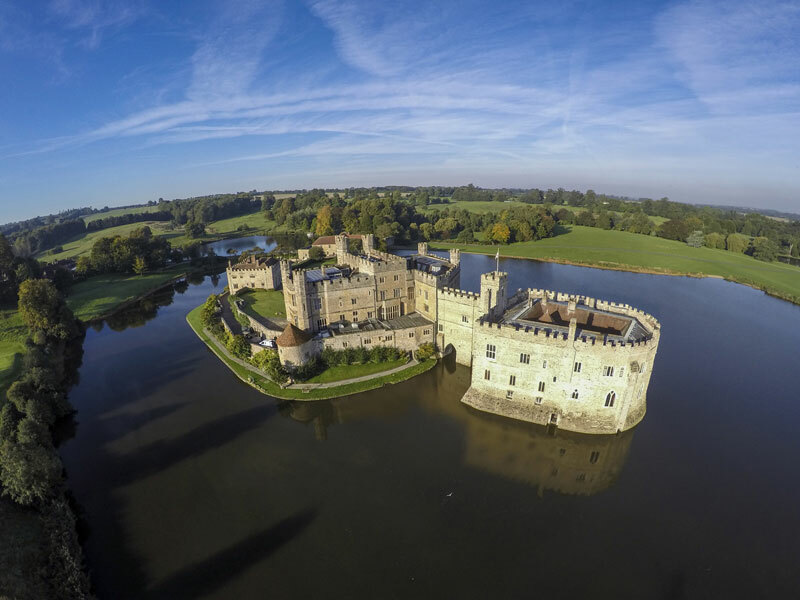 Leeds Castle was once home to medieval queens, but more recently became the country retreat for the family of the Hon. Olive Paget, best known as Lady Baillie. In the 1920s, with the help of the best French designers, she sympathetically restored the castle and created some fashionably glamorous interiors. The modern was added discreetly – plumbing, a cinema, a swimming pool with wave machine – and the parkland was completely re-landscaped. During the 1930s Lady Baillie entertained lavishly at Leeds Castle – and then during the Second World War, the castle became a hospital. 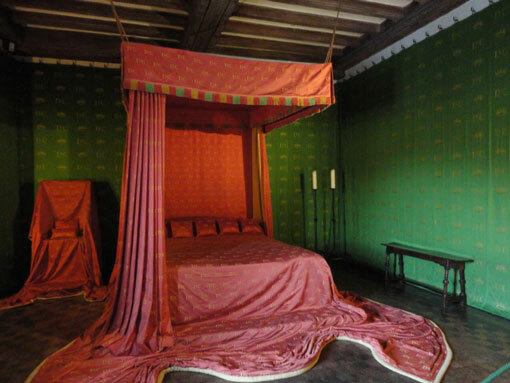 Today, parts of the castle reflect its royal history, and you can also see the best of Lady Baillie’s accommodation. New gardens have been added, including the Culpeper Garden by Russell Page. The castle has a programme of major events. There are several castles and gardens in this corner of the world – if the one you see isn’t listed below, just contact me and ask about it. All tours are by car, for up to 6 people, with your own private driver-guide. Tour prices range between £450-££620. 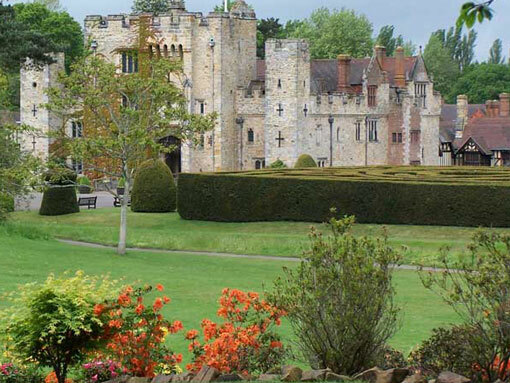 If you are a Tudor history enthusiast or a garden-lover you will love these two castles. Both have links to Henry VIII & Anne Boleyn – and both have beautiful gardens. 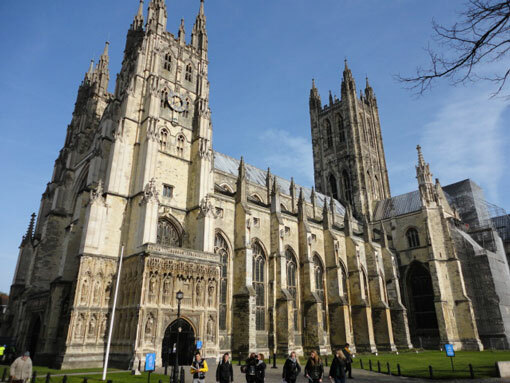 The walled city of Canterbury has at its heart its magnificent medieval cathedral, the destination of the pilgrims in Chaucer’s “Canterbury Tales”. If you wish, we could drive down to Dover to see the famous White Cliffs as well. A visit to Leeds Castle, with maybe a cream tea, or if time allows, lunch in a country pub.